All it takes is a few seconds of scrolling through your feed to realize that Twitter is full of a lot of pointless chatter. But at the same time, from breaking news to official company feeds, the social media service is also used as an outlet for potentially important information. The tough part is sifting through all the clutter to find the stuff that matters—because sometimes it lands in the middle of a conversation between the bass player of Blink-182 and Taco Bell. Seriously. A couple of days ago, Mark Hoppus, better known as the bassist/vocalist for the band Blink-182, tossed off a rather casual tweet about his Mexican fast food preferences. “Taco Bell is better than Del Taco but Del Taco has french fries so it’s a real Sophie’s Choice of fast food,” he somewhat jokingly wrote (since you can’t reference Sophie’s Choice in regard to taco chains in a non-joking manner). Taco Bell is better than Del Taco but Del Taco has french fries so it’s a real Sophie’s Choice of fast food. Seeing as his account has over 3 million followers, Hoppus’s musing about the two popular chains garnered plenty of response. 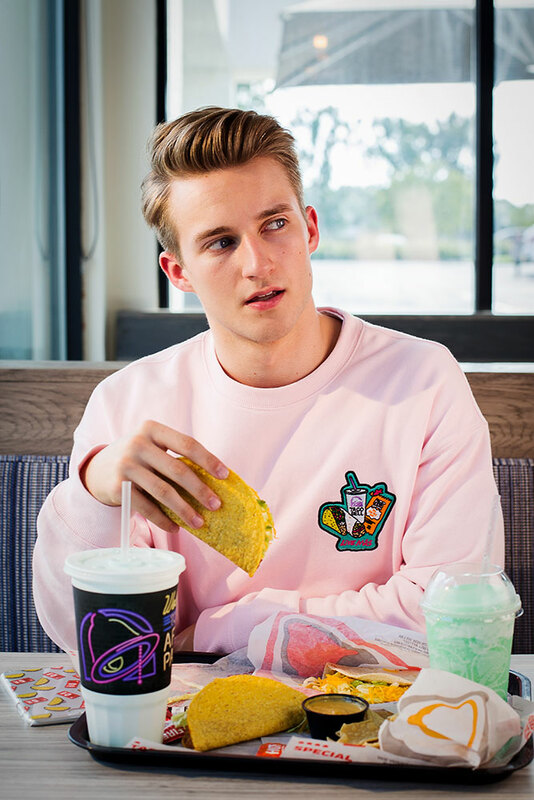 Indeed, though Taco Bell and Del Taco are similar in many regards—the two brands’ hard shell tacos, for instance, are crafted nearly identically—Del Taco does venture a bit further into American cuisine including things like hamburgers and French fries. But over 24 hours later, nearly lost in the shuffle, came the biggest reply of them all… from none other than Taco Bell’s official Twitter account. “That just might change soon, Mark,” the tweet stated, followed by the smirking face emoji. Granted, discerning the exact meaning of that tweet requires a bit of serious interpretation of the smirking face emoji, but all signs would seem to point to Taco Bell saying it may soon be rolling out French fries. As the site Munchies points out, Taco Bell has tested French fries in multiple forms and in various locations in the past. Though at the same time, the chain hasn’t really given any reason to believe the addition of fries is suddenly imminent now. Munchies says they reached out to Taco Bell for clarification of the tweet, but haven’t heard back. So is this case of some Taco Bell social media person going totally rogue as a chance to get Hoppus’s attention or did the chain really just make a major menu announcement in response to an otherwise random tweet sent out by Blink-182’s bassist? Wouldn’t Del Taco like to know!